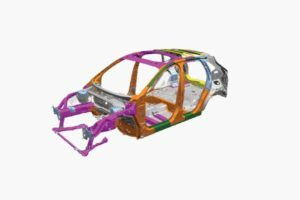 “Ultra-high-strength steel 3D-rolled tubes run up each A-pillar and along the rooflines, and high-strength boron steel solidifies the subframe,” Ford wrote on a 2020 Escape microsite. A diagram Ford released indicated a significant degree of dual-phase steel in the front-end of the vehicle and two of the roof crossmembers, Boron steel forms door rings, the lower part of the C-pillar, behind the dogleg, kickout panel and a floor crossmember just behind the B-pillar. 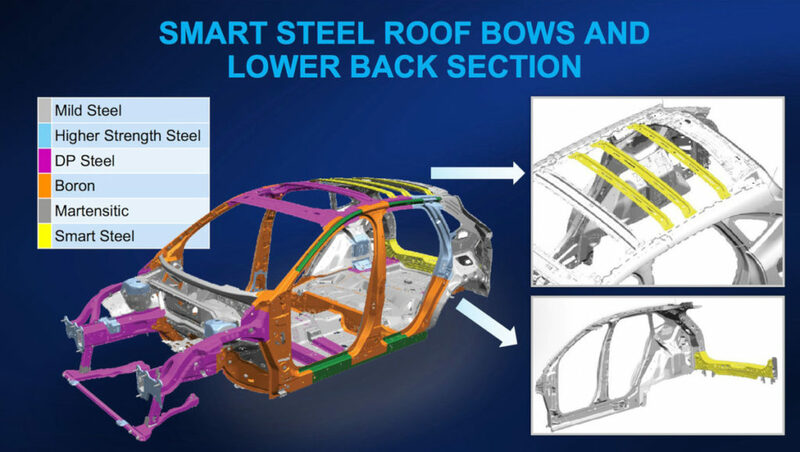 Something called “Smart Steel” can be seen on three roof bows and the lower crossmember connecting the D-pillars. The D-pillars themselves and instrument panel are Martensitic steel. The structure should make for a strong, light and rigid body-in-white, and likely will impose additional repair restrictions on shops. Ford also said it cut weight with an aluminum hood and suspension link arms. It didn’t specify if anything else was aluminum. The hood shouldn’t be a huge surprise; Car and Driver reported that older Escapes dating back to at least the 2017 model year had a hood made of the substrate. 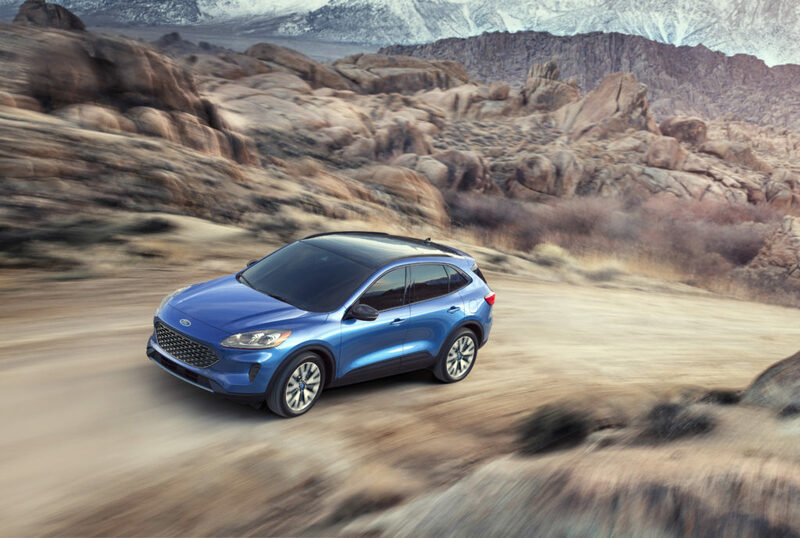 Despite being more than 200 pounds lighter, Ford said the 2020 Escape is wider and longer than the 2019 model. It’s also lower, but Ford says the headroom actually grew on the 2020 Escape compared to the outgoing SUV. 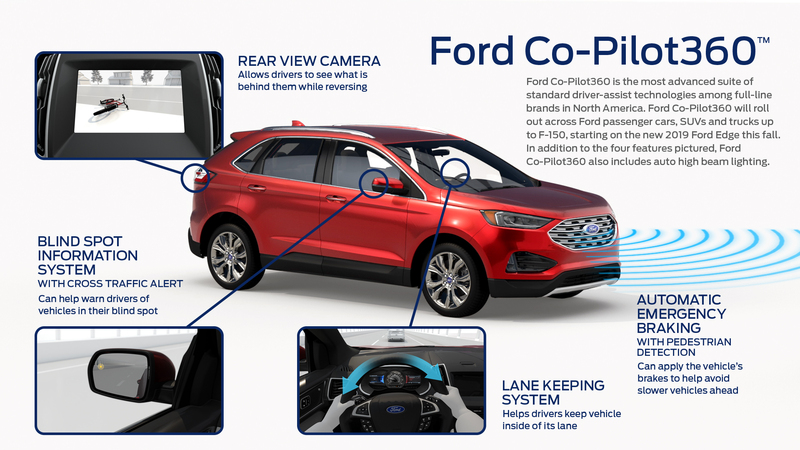 All Escapes will come standard with Co-Pilot 360, a Ford advanced driver assistance suite that includes blind spot monitoring and cross-traffic alerts, autobraking — including for pedestrians — automatic high beams and lane-keeping. Ford in 2018 said it planned to start offering Co-Pilot 360 rear autobraking in 2019, so presumably this will appear on the 2020 Escape. The 2019 Escape had some of this available as an option on at least the Titanium trim, but it was possible to work on Escapes lacking the gear. (Though no doubt other electronics still required additional care from shops.) But repairers will have no alternative but to deal with the ADAS system once the new Escapes appear this fall. Properly restoring and calibrating the technology will be vital to protect not just the occupants of your customer’s vehicle — but also potentially the pedestrians and other vehicles they might strike without the tech functioning properly. Remember, this is the No. 12-selling vehicle in the nation at 272,228 units, according to GoodCarBadCar’s 2018 rankings, and small SUVs are hot right now. Shops will need to prepare for these types of factors or risk being unqualified for a significant part of prospective repair volume. 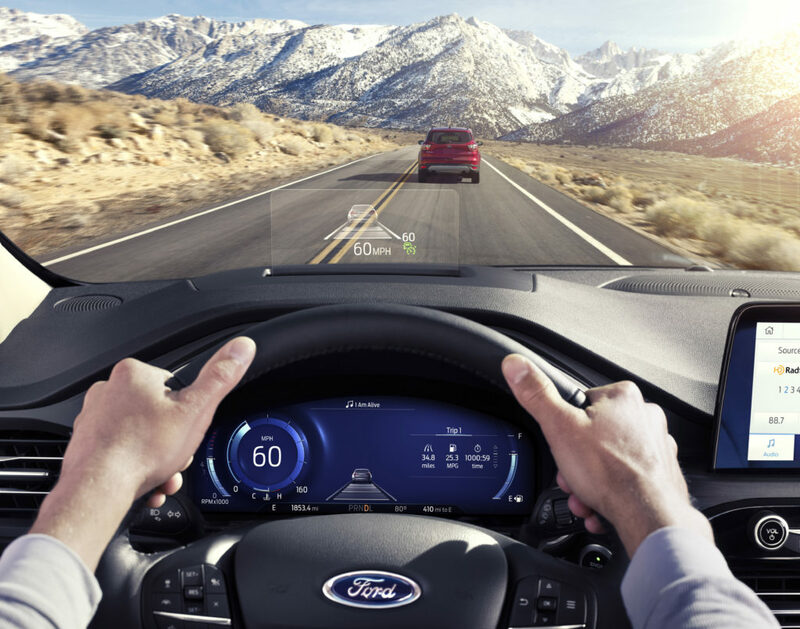 Ford will offer its first North American head-up display as an option on the 2020 Escape Titanium. It projects onto a little 6-inch screen in front of the driver instead of the windshield, and one wonders what Ford’s repair-replace-calibrate instructions will be if an Escape airbag deploys into the panel. Optional ADAS includes auto-parking, “Evasive Steering Assist’ (if the driver swerves with insufficient steering force to avoid hitting something, the Escape will crank the wheel further to help miss the obstacle), lane-centering, and adaptive cruise control. Hybrid and plug-in hybrid versions are possible. The hybrid battery has been reduced to a third of its former size and is under the second row of seats. The plug-in hybrid battery gets at least 30 miles of purely electric and can be charged in between 3.5-11 hours, depending on if you use 110 volts or 240 volts. Also in powertrain developments: Ford for the first time in North America will debut automatic cylinder deactivation. Appearing standard on the 1.5-liter EcoBoost engine on the lower S, SE and SEL trims, the technology makes the call to shut down one of the three cylinders in 14 milliseconds when it’s not needed and starts it back up again in 14 ms when it is. Ford says every Escape variant can get at least 400 miles per tank. Drive mode select (such as “normal” or “slippery”) comes standard.